Mexico City has been experiencing a major water crisis in the last few decades and it is only getting worse. To keep the water flowing, the city imports large amounts of water from as far as 150 kilometers. Not only is this energy-intensive and expensive, it creates conflict with the indigenous communities in the donor basins. Over the last decade, a growing number of these communities have been protesting to reclaim their rights to water resources. As part of the 2017 Young Scientists Summer Program at IIASA, Francine van den Brandeler studied the struggle that Mexico City is facing as it tries to provide water to its growing population and expanding economy. Local aquifers have been over-exploited, so water needs to be imported from distant sources, with high economic, social, and environmental impacts. Van den Brandeler’s study assesses the effectiveness of water use rights in promoting sustainable water use and reducing groundwater exploitation in the city. 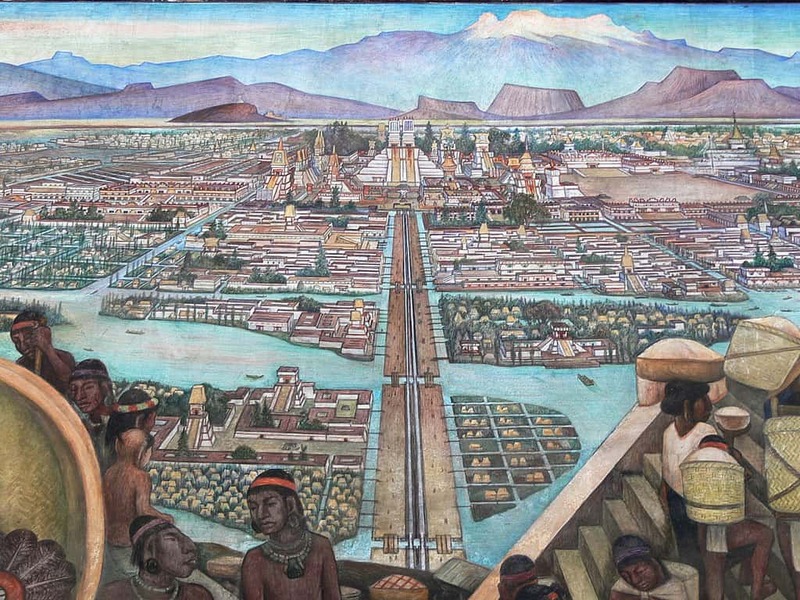 “A few centuries back, Tenochtitlan, the place where Mexico City stands today, was known as the lake city,” says Van den Brandeler. The Aztecs had developed a sophisticated system of dikes and canals to manage water and mitigate floods. However, that changed quickly with the arrival of the Spaniards, who transformed the natural hydrology of the valley. As the population continued to grow over the next centuries, providing drinking water became an increasing challenge, along with controlling floods. As the lake dried up, people pumped water from the ground and built increasingly large infrastructure to bring water from other areas. Communities from lower-income groups, living in informal settlements on the outskirts of the metropolitan region are more vulnerable to this scarcity. Many live on just few liters of water every day, and do not have access to the main water supply network, instead relying on water trucks which charge several times the price of water from the public utility. Many people rely on delivery service for drinking water. The more one learns about the situation, the more complicated it becomes. The import of water started in the 1940’s. But with a massive increase in population in the last couple of decades, the deficits have become much worse. The government’s approach has been to find more water rather than rehabilitating or reusing local surface and groundwater sources, or increasing water use efficiency, says van den Brandeler. Therefore wells are being drilled deeper and deeper—as much as 2000 meters into the ground—as the water runs out. Some people have started initiatives to harvest rainwater, but it is not considered a viable solution by those in charge. “A lot of it has to do with their worldview and general paradigm. The people working at the National Water Commission and the Water Utility of Mexico City have been trained as engineers to make large dams and put pipes in the ground. They don’t believe in small-scale solutions. In their opinion when millions of people are concerned, such solutions cannot work,” says van den Brandeler. Although the city gets plenty of rain during the rainy season, it goes directly into the drainage system which is linked to the sewage system. This contaminates the water, making it unusable. At the same time, almost 40% of the water in Mexico City’s piped networks is lost due to leakages. Policy procedures and institutional functioning also remain top-down and opaque, van den Brandeler has found. One of the policy tools for curbing excess water use are water permits for bulk use, for agriculture, industry, or public utilities supplying water. Introduced in the 1940s, lack of proper enforcement has created misuse and conflicts. For example, while farmers also require a permit that specifies the volume of water they may use each year, they do not pay for their water usage. However, it is difficult to monitor if farmers are extracting water according to the conditions in the permit. Since they do not pay a usage fee, there is also less incentive for the National Water Commission to monitor them. As a result, a huge black market has cropped up in the city where property owners and commercial developers pay exorbitant prices to buy water permits from those who have a license. Since the government allows the exchange of permits between two willing parties, they make it appear above-board. However, it has contributed to the inequalities in water distribution in the city. 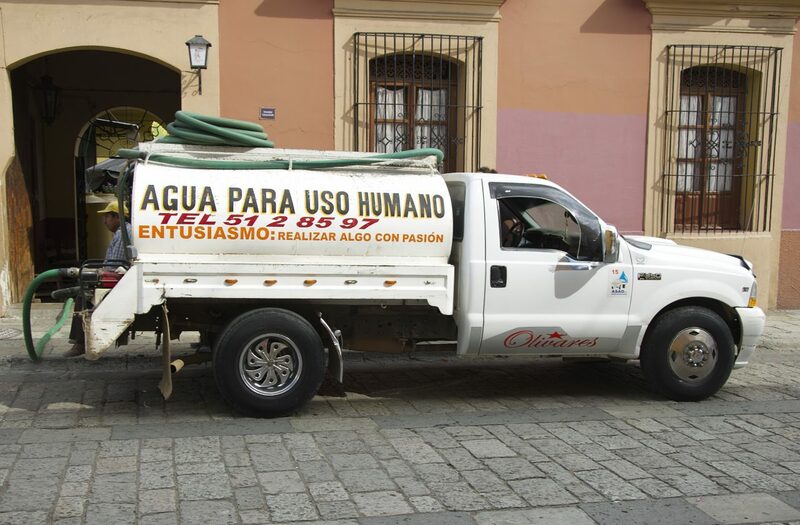 With the water crisis worsening every year, Mexico City needs to find a solution before it runs out of water completely. Van den Brandeler is hopeful for a better future as she studies the contributing factors to the problem. She hopes that the water use permits are better enforced and users are given stronger incentives to respect their allocated water quotas. Further, if greater efforts are made within the metropolis to repair decaying infrastructure and scale up alternatives such as rainwater harvesting and wastewater reuse, the city won’t have to look at expensive solutions if adopted in a decentralized manner. Francine van den Brandeler is a third year PhD student at the University of Amsterdam in Netherlands. Her research is on the spatial mismatches between integrated river basin management and metropolitan water governance – the incompatibility of institutions and biophysical systems-, which can lead to fragmented water policy outcomes. Fragmented decision-making cannot adequately address the issues of sustainability and social inclusion faced by megacities in the Global South. She aims to assess the effectiveness of policy instruments to overcome this mismatch and suggest recommendations for policy (re)design. At IIASA she was part of the Water Program and worked under the supervision of Sylvia Tramberend and Water Program Director Simon Langan. This article gives the views of the author, and not the position of the Nexus blog, nor of the International Institute for Applied Systems Analysis. What matters more in preventing adult deaths in India?